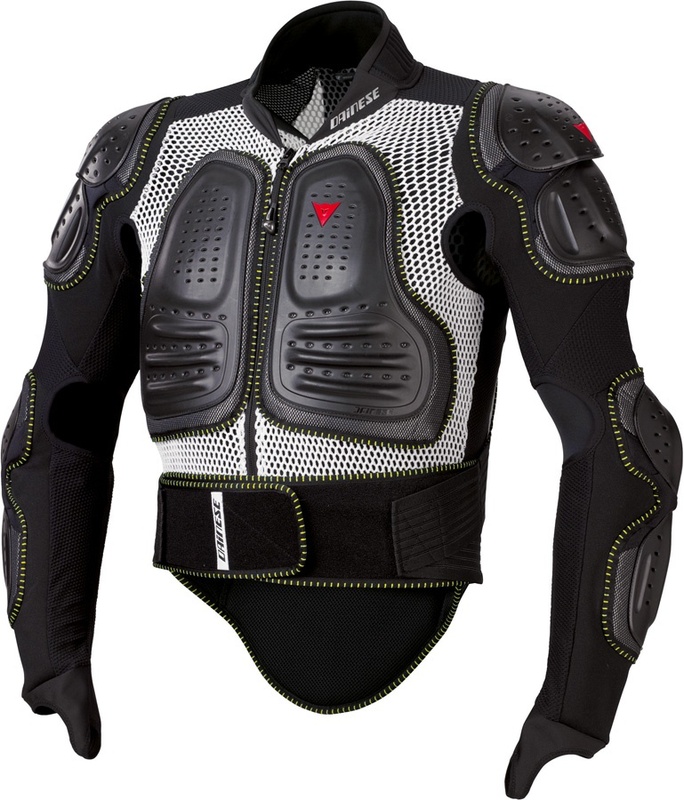 The ultimate form of total upper body torso and spine protection from Dainese. 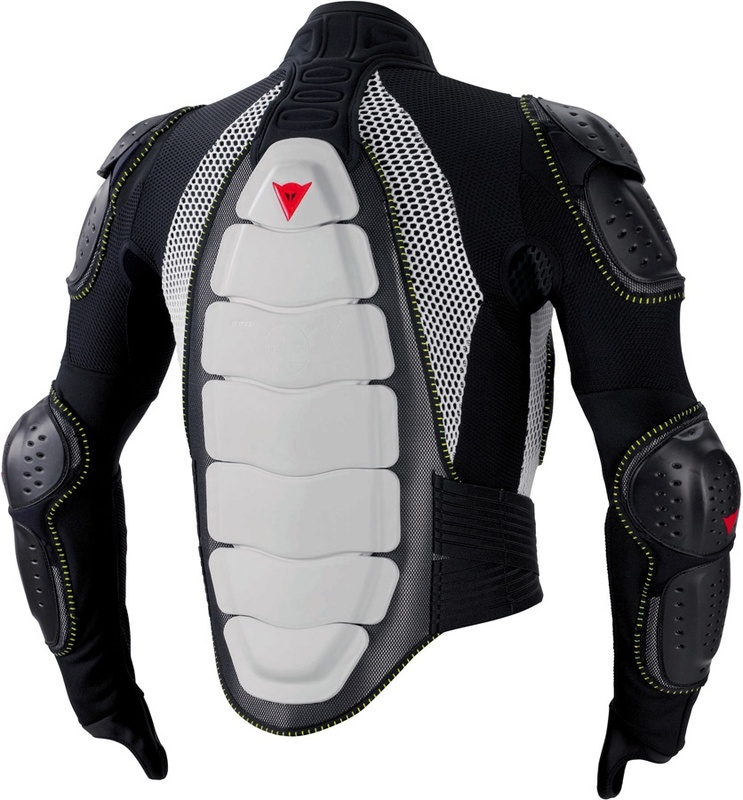 This is the Dainese Ultimate Jacket Evo upper body and spine armour. Incorporating chest, spine, elbow and shoulder protection it provides top level protection for your entire upper body in one piece of kit for all snowboarders, skiers and extreme sport enthusiasts. The jacket includes the BAP back protector with Crash Absorb material under the 7 polypropylene plates. Crash absorb is a water-repellent, soft memory foam with great energy absorption and shape retention that gives the best fit by adapting to the body. The back protector has partly over lapping plates that are articulated to maximise freedom of movement and flexibility inspired by one of natures marvellous creations, the Armadillo. Along with this, there are specially molded polypropylene plates on the chest, shoulders and elbows to provide maximum impact protection on your key areas. The jacket is made from ladder proof elastic mesh to keep it lightweight and breathable while being extremely durable. The wrist gaiters prevent the armour riding up, the elasticated waistband has a double adjustment strap and the waist band is velcro and elastic to provide the perfect fit for superior comfort. The Dainese Ultimate Jacket Evo body armour is a fantastic high quality, durable impact base layer, providing total upper body protection. Any snowboarder or skier looking for maximum protection on the mountain will be amazed how comfortable and safe they will feel wearing this form fitting body armour jacket. Fit - Close Fitted - to be worn as a base layer.